Effect of the presence of hfH in mice on the nOMV immunogenicity. A. Evolution of hfH concentration in mouse serum over time after two IP injection of 0.5mg purified hfH (black arrows) 24 and 0.5 hours prior to immunization (grey arrow). B. Serum Bactericidal Assay (SBA) titers against 44/76-SL wild-type in pooled sera from C57bl/6 mice pre-injected with 800 μg/ml hfH or hSA, 14 days following immunization with 5 μ:g of nOMVlpxl1 or nOMVdis. C. Individual SBA titers against 44/76-SL, dots represent individual animals D. Individual ELISA titers against rfHbp induced after one dose of H44/76Lpxl1 OMV in mice pre-injected with hfH or hSA, *p = 0.016, not all sera were available. C, D dots represent individual animals, the geometric mean and 95% confidence interval are represented as horizontal bars. Impact of Reducing Complement Inhibitor Binding on the Immunogenicity of Native Neisseria meningitidis Outer Membrane Vesicles. Mouse anti Human Complement Factor H antibody, clone OX-23 recognizes intact human serum complement protein factor H, also known as H factor 1. Complement factor H is a 1213 amino acid ~155 kDa secreted glycoprotein bearing multiple disulphide bonds and is involved in the deactivation of C3b and dissociation of C3 convertase in the alternative complement pathway. Mouse anti Human Complement Factor H antibody, clone OX-23 also recognizes a ~43-49 kDa truncated form of factor H present at low level (1-5ug/ml) in plasma and urine. Mutations in the CFH gene can lead to the development of Complement Factor H deficiency (CFHD) which can be asymptomatic, present with recurrent bacterial infections or renal failure (Ault et al. 1997). Mutations can also lead to development of Basal laminar drusen (BLD), the deposition of extracellular deposits accumulating below the retinal pigment epithelium on Bruch membrane which can ultimately lead to vision loss (Boon et al. 2008). Additionally, mutations in the CFH gene can lead to increased susceptibility to Hemolytic uremic syndrome atypical 1 (AHUS1) or Macular degeneration, age-related, 4 (ARMD4). Mouse anti Human Complement Factor H antibody, clone OX-23 has been used successfully for the determination of levels of bound murine factor H in a sandwich ELISA in conjunction with Sheep anti Human Factor H antibody (4400-9504 ) as a capture reagent (Daniels-Treffandier et al. 2016). Spleen cells from immunised Balb/c mice were fused with cells of the NS-O mouse myeloma cell line. Sim, E. et al. (1983) Monoclonal antibodies against the complement control protein factor H (beta 1 H). Biosci Rep. 3 (12): 1119-31. Alsenz, J. et al. (1985) Structural and functional analysis of the complement component factor H with the use of different enzymes and monoclonal antibodies to factor H.
Biochem J. 232 (3): 841-50. Fontaine, M. et al. (1989) Truncated forms of human complement factor H.
Biochem J. 258 (3): 927-30. Daniels-Treffandier, H. et al. 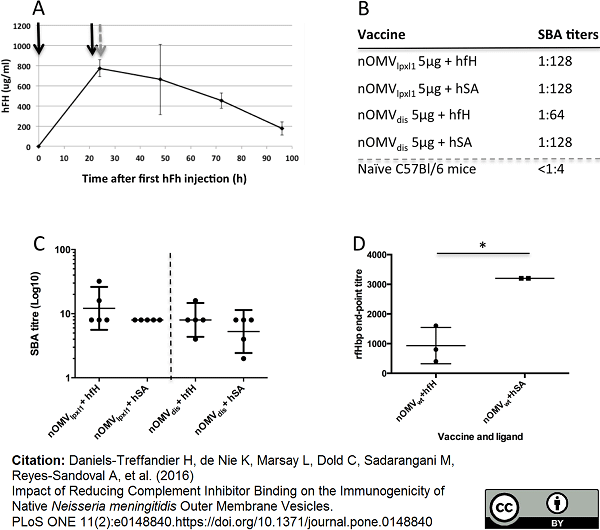 (2016) Impact of Reducing Complement Inhibitor Binding on the Immunogenicity of Native Neisseria meningitidis Outer Membrane Vesicles. PLoS One. 11 (2): e0148840. Kelly, U. et al. (2010) Heparan sulfate, including that in Bruch's membrane, inhibits the complement alternative pathway: implications for age-related macular degeneration. J Immunol. 185 (9): 5486-94. Smith J et al. (2007) Genes expressed by both mesangial cells and bone marrow-derived cells underlie genetic susceptibility to crescentic glomerulonephritis in the rat. J Am Soc Nephrol. 18 (6): 1816-23. Clark, S.J. et al. (2014) Identification of factor H-like protein 1 as the predominant complement regulator in Bruch's membrane: implications for age-related macular degeneration. J Immunol. 193 (10): 4962-70. Hypertension Research. 26 (Suppl): S55-S59.